← Would you use a bike wash & showers in Talybont? 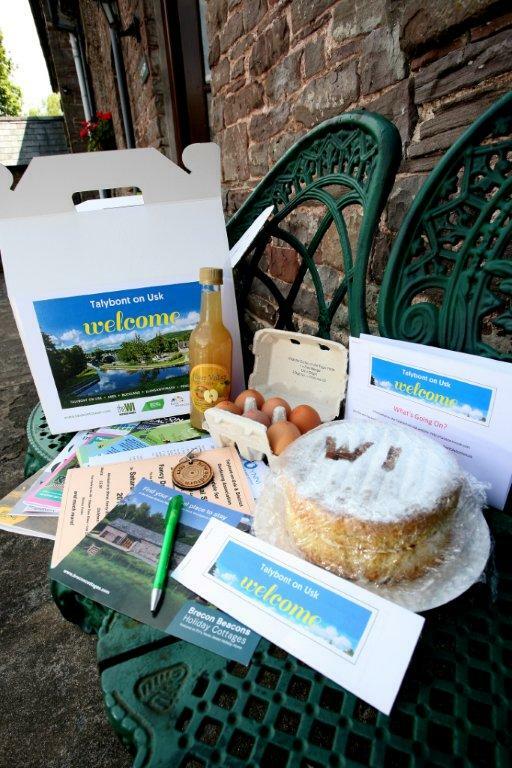 June 2015 was the start date of the Talybont on Usk Welcome Scheme with the first Welcome box being presented to the last resident to move into the village before this date. Talybont WI look forward to providing a WELCOME to all residents who move in to our Community. Please be our eyes and ears, if someone new moves in to live near you please contact Sue 01874 676293 or Cherry 01874 676232 or any member of Talybont WI. We will then arrange a suitable date to deliver a box to welcome and inform the newcomer of our local facilities, products and all that goes on in the community.